So as we’ve noticed the wet windy weather is interfering with our looks. Your hair is in jeopardy due to this but we have a couple of solutions and tips to avoid this problem. 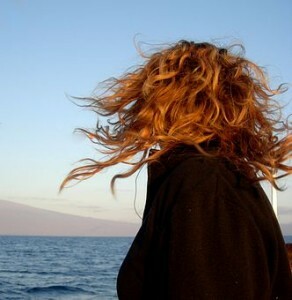 -Moisturizing your hair with the right products will help have less frizz when the cold and winds attack. When washing hair use a gentle moisturizing shampoo. You don’t want to use a harsh shampoo that leaves hair dry. Use a conditioner that will work with and for your hair and not against it. Cheap conditioners can smell good but could leave hair tangled, greasy, and damaged. Also try using a rejuvenating and fortifying hair mask. Look for a deep-hydrating, that repairs and protects your hair. Avoid the frozen hair by making sure that you dry your hair thoroughly before stepping outside. Cold weather can freeze your hair strands causing breakage and split ends. And the easiest of all steps is simply covering up. Wearing head wear, hats, scarfs, and other soft fabric gear could save you from a hard time with your hair. Keeps cold wind away and it keeps you warm. Feel free to give us any suggestions, comments, and questions. We appreciate all the feedback!